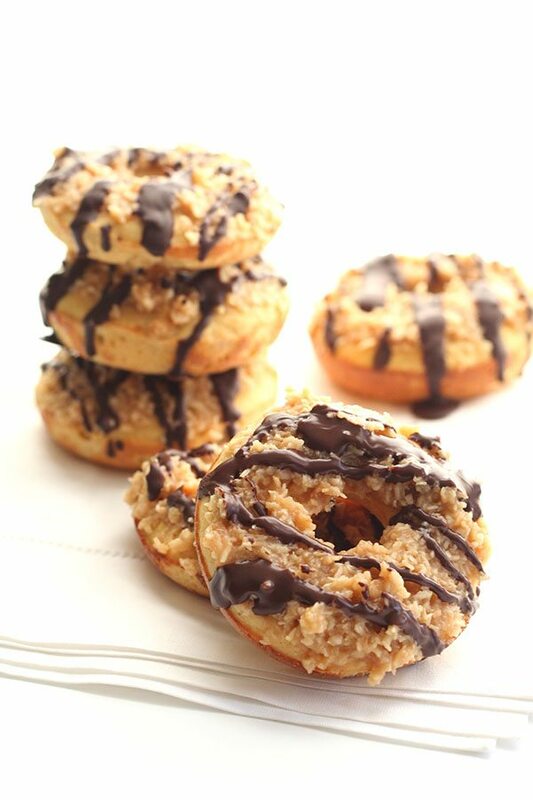 If you love Girl Scout Cookies, you will adore these low carb Samoa donuts, topped with sugar-free coconut caramel and chocolate. 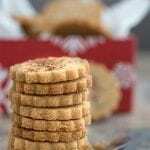 Made with coconut flour, they are completely nut-free! Have you counted how many cookbooks you own lately? Do you own dozens upon dozens, so many that you have trouble remembering where you saw that recipe you wanted to make? Do you hoard cookbooks and enjoy thumbing through them on a quiet afternoon, even if you have no intention of making anything? Do people who know you love to cook give you cookbooks galore for every possible holiday? Do you find yourself wandering into the cookbook section of every bookstore, just to browse? If you answered yes to any of these questions, this is the giveaway for you. Because we are about to add mightily to your cookbook collection! 12 bloggers have joined forces to give away their favourite cookbooks. So throw your hat in the ring, my friends, and you might win 12 new cookbooks! I am one of those people who owns a gazillion cookbooks. Actually, since our cross-country move, I’ve managed to cut down on that number significantly as we gave many away. I still have more than I dare count and I love thumbing through them. Every time my husband and I decide to clean out our cookbook collection, I find myself discovering old ones I’d forgotten all about. And as I turn the pages, I get excited and inspired all over again. But the truth is that despite that large collection, I really only use a small handful of them consistently. I call these my reference cookbooks. These are the books I turn to when I am a little unsure where to begin or how to cook something. Best temperature for roasting salmon? Should I put my creme brûlée in a water bath? How long do I broil a lamb chop? Whenever I need good solid answers to these burning questions, I grab a well-thumbed cookbook that I know won’t lead me astray. These are not, by the way, low carb cookbooks. But they are books from authors who know their stuff and can give me a little guidance on the basics. One of these is Mark Bittman’s “How To Cook Everything”. Mark has given me great guidance on everything from panna cotta to prime rib, and his is one of the most useful cookbooks I own. And so I chose it as the book I included in our group giveaway. Now, these donuts received zero guidance from Mark and his cronies. I am pretty sure he wouldn’t know what to do with a bag of coconut flour if it smacked him in the face. So I guess he doesn’t really know how to cook everything! As useful as these reference cookbooks are, they haven’t quite ventured into the low carb, grain-free zone that is my life now. Actually, I find myself referring to myself more often than anyone else these days. My older recipes often guide my newer ones and I look back through my archives frequently. 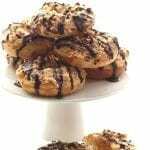 With this fun take on Girl Scout cookies, I reworked my coconut flour donuts and topped them with coconut caramel sauce and chocolate drizzle. 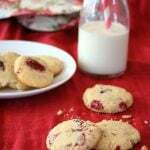 Now THESE will satisfy your cookie craving. Love Girl Scout cookies? 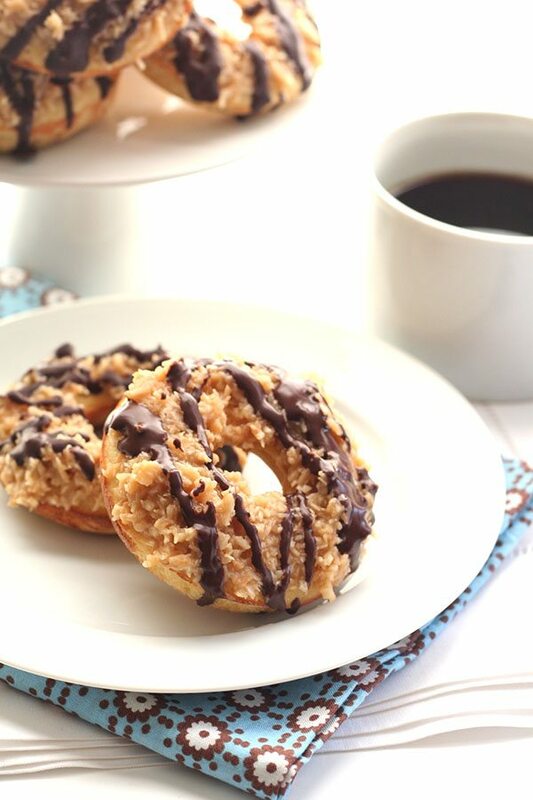 You will adore these low carb Samoa donuts, topped with sugar-free coconut caramel and chocolate. In a large bowl, whisk together the coconut flour, sweetener, whey protein powder, baking powder and salt, breaking up any clumps with the back of a fork. Stir in the eggs, coconut oil, almond milk and vanilla extract until well combined and batter is smooth. Fill the wells of the donut pan 2/3 full and bake 12 to 15 minutes, or until set and edges are just golden brown. Remove from oven and let cool 5 minutes in pan, then flip out onto a wire rack to cool completely. Depending on the size of your pan, you will get 12 to 15 donuts and will need to work in batches. In a medium skill over medium heat, spread shredded coconut and toast, stirring frequently, until golden brown. Remove from heat and let cool. Meanwhile, in a large saucepan over medium heat, combine butter, Swerve and coconut sugar. Stir until butter is melted and sweetener is dissolved. Bring to a boil and cook 3 to 5 minutes, watching carefully so it doesn't burn. Remove from heat and add cream. Mixture will bubble vigorously. Sprinkle with xanthan gum and whisk well to combine. Add salt and stir. Add toasted coconut and stir well to combine. Let mixture come to room temperature so it is spreadable and not too goopy. Spread the top of each donut with coconut caramel mixture and let set. In a heatproof bowl set over a pan of barely simmering water, melted coconut oil and chocolate together until smooth. Drizzle over cooled donuts. Serves 14. Each serving has 11.12 g of carbs and 5.72 g of fiber. Total NET CARBS = 5.4 g.
*Please note that I am not a medical or nutritional professional. I am simply recounting and sharing my own experiences on this blog. Nothing I express here should be taken as medical advice and you should consult with your doctor before starting any diet or exercise program. I provide nutritional information for my recipes simply as a courtesy to my readers. 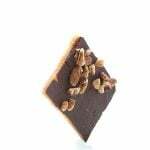 It is calculated using Mastercook software and I remove erythritol from the final carb count and net carb count, as it does not affect my own blood glucose levels. I do my best to be as accurate as possible but you should independently calculate nutritional information on your own before relying on them. I thought I didn’t need another cookbook until I read your comments about Mark Bittman’s! I do love his book. It’s a toss up between that one and The America’s Test Kitchen Family Cookbook as the two I use most for basic tips. I am fond of the America’s Test Kitchens Cooking for Two cookbooks since I cook for me only. Although I am also very fond of Ruhlman’s Twenty – it’s taught me a lot. My favorite cookbook is The Betty Crocker (Red) cookbook from the 1950’s. 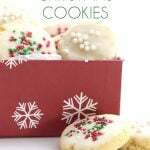 I make most of my gluten free cookies from this book! I don’t have a favorite cookbook but I do have a lot! It seems like I have a favorite recipe or two out of each of them. Should combine those all into one book and toss the remaining pulp! These look delicious! I don’t have a donut pan. Would a muffin top pan work? Yes, it would. They may take slightly longer to bake. We used a muffin pan…12 muffin cup pan. Turned out fantastic…just GREASE the muffin wells very nicely. Only thing I tweaked was i added some truvia to the chocolate drizzle recipe. These were absolutely awesome…delish! I love all my cookbooks! My favourite is a huuuuuge fat cookbook my mom gave me though. It covers all the basic techniques, dishes, cooking temps etc etc etc! My go-to baking book was Shirley Corriher’s Bakewise, but seeing as I don’t do a lot of traditional baking anymore, I grab my Alton Brown books for my references on temperature. Holy cow, these look delicious! I thought your samoa bars were out of this world! I can’t wait to try these donuts! Thank you for the book giveaway. I’m going to see if it’s available for Kindle! I need a good basic know how guide to cooking. Years ago, I bought a beautiful Williams Sonoma cookbook on how to roast everything. It has been very helpful. I also use the old Betty Crocker cookbook a lot, but I have a few others that I occasionally use. Having new ones that are favorites of others would be helpful to have to gain more knowledge . I now have a very valid reason to invest in a donut pan! These look amazing. At least now I can feel slightly less guilty running pass the adorable little Girl Scouts trying to sell me cookies at the entrance/exit of the grocery store for the last 3 weeks. I’ve been waiting for these! I also have a huge collection of cookbooks, but this one sounds like a great book to add. Fave cookbook at the moment is Vij’s….. wonderful flavors!!! My favorite cookbook is the second Wheat Belly cookbook written by Dr. William Davis – so many good recipes in there. I’ve long loved the Southern Living annual composite cookbooks and my very favorite is the 40 Years of Southern Living’s Best. Oh, my goodness…I may have to have baked Mac & Cheese for dinner. It’s even delish with gluten free pasta & crackers!! My current favorite cookbook is Against All Grain. But I’d love a cookbook from you!! Eagerly awaiting! I have so many cook books I love! Some are Martha Stewart, Betty Crocker and Gluten-free on a Shoestring. Just getting started on low-carb, so I’m always looking for new cookbooks! Oh, my, but these look good…..and low carb to boot! I love old church cookbooks. 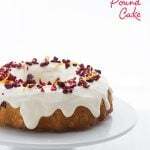 I am new to the low carb world so do need help with converting some recipes over and still be gluten free. Thanks for the giveaway. I love my ancient Joy of Cooking, as much for the authors’ witty, opinionated advice as for the reliable recipes for everything from meringue to meat. The Joy of Cooking is a great go-to book like Bitman’s, thus it’s one of my favorites. I agree, I used Joy of Cooking as a kid growing up all the time! Hmm my favorite at this time is not a book but the many recipes on your blog and the many trim healthy mama recipes. Before that is used taste of home cook books a lot or my own homemade cookbook of my own collection over the years. I love cookbooks of every kind. I love samoas! I can’t wait to try this donut recipe!!!! My favorite cookbook right now is Every Last Crumb but I have many so it’s difficult to pick!!! 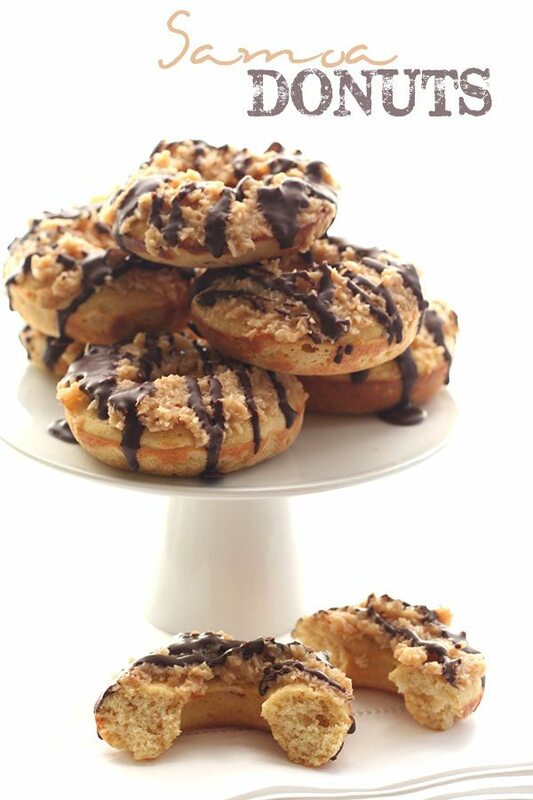 Ohhhhh, how I miss Samoa cookies…..NOT ANY MORE!!! My fav cookbook(s) is the Low Carbing Among Friends series. My Favorite is an old recipe book from a tea room I visited with one of my favorite Aunt’s several years ago in Eureka Springs Ark. It was called the Victorian Sampler. 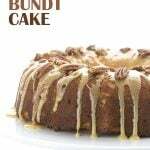 I don’t bake much from it anymore, since trying to eat a low carb lifestyle, but a lot of great recipes! My favorite cookbook is the Betty Crocker cookbook I was given when I was married 26 years ago. The donuts look awesome!! When I first started eating low carb I used a few of Dana Carpendar’s cookbooks like 500 Low Carb Recipes. 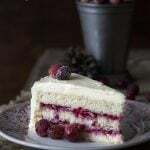 I rarely use cookbooks now–I come straight here especially for dessert recipes! My favourite cookbook changes all the time, but right now I’m loving Smoke and Pickles by Edward Lee. I would love to add more to my collection! How to be a Domestic Goddess – Nigella Lawson…….love her!!!!! Before going lo carb, I would have to say Betty Crocker- if I needed a recipe to figure out to cook something new, this was my go to book. CURRENTLY, my favorite cookbook is Dana Carpender’s Fat Fast cookbook. 50 recipes to add more fat to my low-carb diet. My “go to” is either my very old Betty Crocker (someone else mentioned this one). It was one of my first. I purchased a BH&G New Cook Book on a special deal for my partner, Greg. It’s a good one for “how do I…”. My very favorite cookbook is Oakland Organics. They have so many cool ideas in there. Now, I just have to remember to look at it from time to time… LOL! I love to collect cookbooks! My favorites prior to starting Trim Healthy Mama were Ree Drummond’s Pioneer Woman cookbooks and blogger, Jenny Flake’s Pickey Palate cookbook. Now I mainly cook from low carb and thm blogs. Good old Betty Crocker, but I find myself hunting through the internet for new ideas. I really like the Trader joe’s cookbook. Right now one of my favorite cookbooks is Cooking with Coconut Flour by Bruce Fife. I’m in a learning curve with coconut flour and this really helps. Otherwise, many low carb cookbooks that I have. I don’t really have a favorite cookbook currently, but I have been using my Trim Healthy Mama book a lot! These look so good, Carolyn! I’ll be scheduling these to share on my Facebook page this week. couldn’t pick a fav- use them all. Love the Pinterest ones too! I like the Betty Crocker cookbook, actually. Although, now that I have gone low carb, I don’t use it as much. My favorite cookbook now is against the grain, it started my family on our low carb journey. I have a ton of cookbooks…used to collect them (plus pages ripped out of magazines) like other people collect…well, anything! My favorites though, are the fundraising cookbooks put together by churches, schools, etc. where the recipes were contributed by the group. Always great home-cooking stuff in those! And while I now collect most of my recipes digitally, I’m always up for a new cookbook, and a good reference one would be awesome! I answered yes to all your questions about cookbooks. I love making a cup of tea, curling up on the couch, and just flipping through them. I can’t pin point a certain one I love more than others but pictures of each recipe is what draws me to purchase them. There should be a Nobel Prize for cooking and you should win! I like shortcuts so I’ve used the Cake Doctor series of cookbooks a lot. Good old Betty Crocker is my go to cookbook. Can these be left at room temp or do they need to be kept in the refrigerator? Room temp in a covered container is best. Cook’s Illustrated The Best 30 Minute Recipe used to be a go to. Thankfully, I’ve been able to adapt some of the recipes to low carb. Betty Crocker is my go to cookbook. I have many cookbooks, and I love reading through them, especially ones with mouth-watering pictures. But lately I’ve been creating a digital cookbook with many of your recipes. My favorite cookbook is the good old fashioned BETTY CROCKER! I grew up using it and the faded, yellowed pages bring back wonderful memories. I don’t have a favorite cookbook right now. After changing up how we are eating I’ve had to almost start over with cookbooks to understand how to cook with different ingredients than “traditional” ingredients. Love the Nom Nom Paleo cookbook! I’ve been partial to Southern Living cookbooks for years. I have a lot of favorite cookbooks but the fave for right now is THE PALEO APPROACH cookbook. My go-to reference is Mark Bittman’s “How to cook everything Vegetarian”. Now that I am married to a meat eater I’d love to add his original to my collection!! I just want to start by saying I never post comments, I mean never (I’m web shy). I’ve been gluten-free for over a year now and have had numerous baking disasters when trying recipes involving coconut flour. I like the taste of coconut flour, but I find that the resulting texture in baked good is either too dry or too eggy. So I was a little wary at first when I saw coconut flour was the only flour used for these donuts. 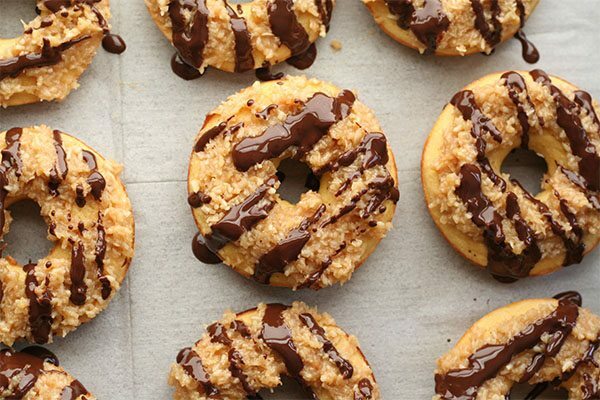 But since Samoas are hands down my favorite cookies, I had to give this recipe a try. And I didn’t regret it. These are absolutely OUTSTANDING!!! The donuts were spot on: perfect cake-like texture, not dry at all, and most importantly, didn’t taste like scrambled eggs. Even my “anti-gluten-free” in-laws caved in to try one and came back for more. Thank you so much for this fantastic recipe! Wow, now that might be the best testimonial EVER. Thanks for not being to shy to let me know, I truly appreciate it. I love your recipes! My problem is that every time I open your site it crashes my computer. Is there anyway to view it without all the ads. (my husband says that is the problem.) I just signed up for your e-mail. Hi Michelle. What browser are you using? Since I haven’t heard any other complaints and have no trouble of my own, I suspect you might be using an outdated browser? 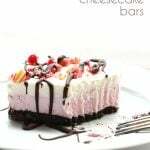 I think your recipes are amazing I have tried some before and I am in love. My question is a lot of the baking recipes require whey protein. Is this just to add protein to the recipe or bulk or both? Can it be omitted? 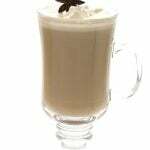 If not, do you think a cost effective substitute would be to but the unflavored and add extra vanilla if needed? Thanks. It has nothing to do with getting extra protein in my diet and everything to do with trying to compensate for the fact that gluten is a protein that helps baked goods rise and hold their shape. IN its absence, you need another dry protein to make up for it. It helps a LOT in the finished product, but you can skip it if need be. You can also use powdered egg whites. And yes, you can always do unflavoured and add in some vanilla. Or vice versa! I have to tweak that aspect too, just because I can’t find a protein powder that doesn’t give me a migraine (something to do with the preservative maybe). Anyhoo, I’ve been putting in an equal amount of Bob’s Red Mill all purpose gluten free flour with good success. So in this recipe we’re talking 2 tbsp. It does bump up the carb count a bit but for myself it works. Carolyn, I hate to even ask this because I don’t mean to disrespect your recipe but lately I can’t seem to tolerate coconut flour at all, so here goes…can almond flour be subbed in place of the coconut flour and how much would you suggest? Thank you. How many GRAMS of coconut flour is that? Knowing the grams is very helpful…coconut flour is so finicky! I don’t know, I’ve never had any trouble measuring by cups. I have had big problems with stuff sticking to my donut pans. I want to do more donuts, but how do you keep your recipes from sticking. No matter what recipe I try, it sticks and breaks up. 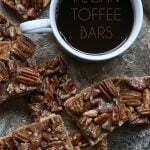 These looks so wonderful and I really want to have some sweet treats with my coffee in the morning. Hi! Could I substitute with erithrytol? Would it be an equal substitute? erythritol on its own is not quite as sweet as Swerve so I would maybe add a little stevia too. Hi there, I am going to make these soon. I understand protein powder helps in baked goods to rise but the same size and brand container of the vanilla protein powder here in the UK costs £31 (which is about $45 when converted) …uh hem…thus I tend to skip recipes with protein powder. Would psyillium husk possibly be something I could use instead or is that basically like adding more coconut flour? I sometimes have small sachets of egg white powder (but don’t have any on hand); any thing other than that I could use? Just thought I would ask. Thank you! Ok, disregard previous comment…so I found at the back of my cupboard a single sachet of egg white powder that measured exactly 1T, so I halved this recipe. OH MY GOODNESSSS. So amazing. The texture of the cake is my new go-to. I used 2 mini-bundt pans for the doughnuts and turned the rest into “doughnut holes” in my mini-muffin tin. Wow. The coconut caramel topping was enough to write home about. I could have stopped the recipe there. yum. THANK YOU!!!!!!! Definitely a keeper. Wish I had a way to post a pic. Looks like yours! I’m sorry protein powder is so expensive for you guys but Yay!!!! So glad this worked out! Ok, disregard previous comment…so I found at the back of my cupboard a single sachet of egg white powder that measured exactly 1T, so I halved this recipe. OH MY GOODNESSSS. So amazing. The texture of the cake is so light and similar to naughty donuts, this is my new go-to cake recipe. I used 2 mini-bundt pans for the doughnuts and turned the rest into “doughnut holes” in my mini-muffin tin. Wow. The coconut caramel topping was enough to write home about. I could have stopped the recipe there. yum. THANK YOU!!!!!!! Definitely a keeper. Wish I had a way to post a pic. Looks like yours! Sorry, this accidentally got posted twice. Oh good to know that egg white powder works! That’s all I have and I’d like to try these..except no donut pan right now. Do I have to use the protein powder or can I leave it out? It’s best for helping the donuts rise properly. Oh, I kinda figured that. Is there anything I could replace it with? That would let the donut rise!! I don’t use protein powder. These look delicious and I really want to make them!! Gluten is a protein and in its absence, you need to add another dry protein. You could use egg white protein. I new to baking without gluten!! I just got diagnosed with gluten sensitivity 3 1/2 weeks ago. Thank you so much for answering my questions!! Can’t wait to try these!! You’re welcome! You can always skip the protein powder but your results may not be as good. OMG OMG – these just came out of the oven and are reasonably close to Tim Horton’s coconut glazed doughnuts…I’m soooo happy!!!! Thank you!!! Do these donuts have an eggy taste to them? I find that whenever I try low carb breakfast foods (pancakes, waffles), they all have a lot of eggs to make up for the gluten protein, and they all have an overwhelming egg taste. Can someone honestly give me a review on these? Don’t want to waste the time/money if that’s how they are??? Sorry! THanks! What brand of coconut flour are you using? I made these yesterday and absolutely love them! What a treat. Next time I might put a little more sweetener in the cake part. Thanks, Carolyn. I love this recipe. I was wondering what is the best way for me to store the donuts. They are fine on the counter for 2 days but should probably be refrigerated after that.